All entries will be displayed at Parmalee’s Art Show (date TBD). Winners will advance to the District Reflections Contest. All children deserve the opportunity to be involved in the arts. The arts play a critical role in students’ success in school and beyond, enhancing their reading and language skills, mathematical skills, thinking skills, social skills, motivation to learn and positive school environment. The Reflections program encourages students in pre-K through grade 12 to explore the arts. The National PTA Reflections program is PTA’s cornerstone arts program. It offers students the opportunity to earn local, state and even national recognition for original artwork they create in response to a specific theme. The theme for the 2018-19 school year is “Heroes Around Me". Students will reflect on the theme and create original works of art in the categories of dance choreography, film production, music composition, literature, photography and visual arts. Students who participate in the Reflections Program get an opportunity to explore the arts and culture, develop creative thinking and problem-solving skills, and recognize themselves as artists. *Note: All forms and list of rules are available for download at the bottom of this web page. 1. Download and read the General Participation Rules at the bottom of this page. 3. Find the category rules that pertain to you at the bottom of the page. It is important to abide by the guidelines of each category. Failure to do so could result in disqualification from advancing to the next round. 4. Print and fill out the Entry Form. All entries must by accompanied by an Entry Form. a. Fill out all identifying information and sign the bottom of the form. b. Students must title their work. “Untitled” is not acceptable. c. Do not fill out the section titled LOCAL PTA INFO. Your PTA will do that. d. All participants must fill out the required Artist Statement section on the form (min 10 words – max 100 words). The Artist Statement describes what inspired the student to create the work of art and how it relates to the theme. If the statement does not fit the space given, it may be written on a separate sheet or paper and attached. e. Answer the category questions in the back that pertain to you. 5. 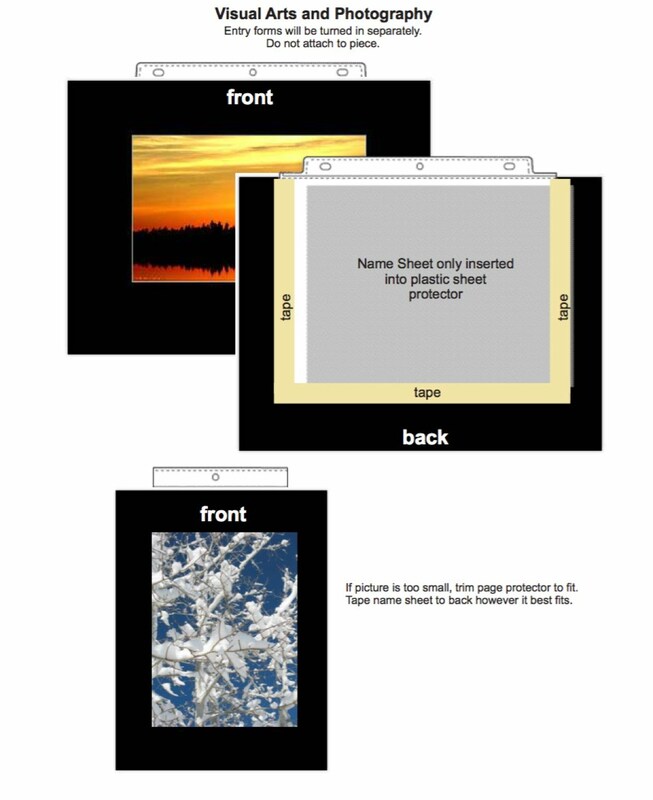 If you are entering the Photography or Visual Arts category, print and fill out the Name Sheetform. 6. Create and have fun! For any questions, contact Meredith Bockmon at mjbockmon@gmail.com. 7. Turn in your completed artwork along with the required forms at the Parmalee front lobby on Thursday, October 11 at 9 am. Only new pieces of artwork inspired by the theme may be submitted. Each entry must be the original work of one student only. Families can support their children’s participation by creating time and space for students to work on their entries, provide encouragement and needed materials, and supporting the Reflections program. This program is age based and should be age appropriate. A student’s best work may include crooked lines or misspelled words. You may give them feedback—for example, showing them how to brainstorm or suggesting that they proofread their work. However, their final work should be a true reflection of their efforts. Entries should represent the student’s unique creativity. Adults are welcome to encourage students but are not asked to assist in any way with their interpretation of the theme or artistic expression. Make sure that all submissions fit the category rules. 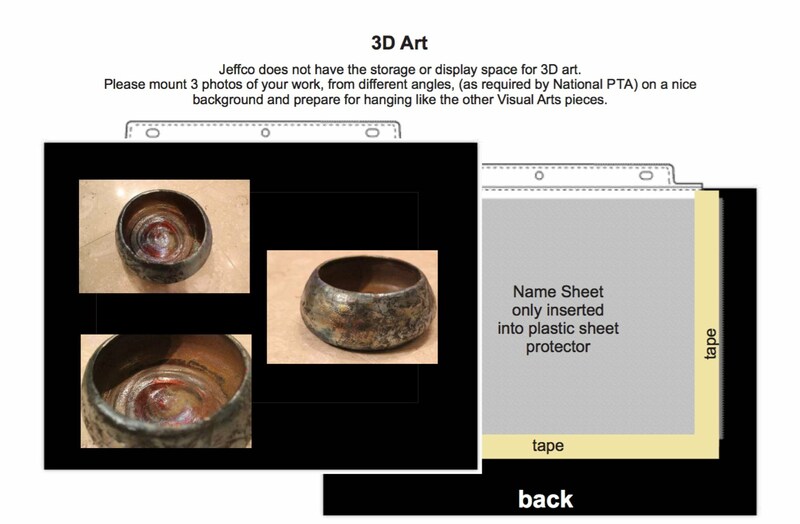 Visual arts and Photography – Note size limitations and rules re: copyrighted materials. Visual arts – New this year is inclusion of 3D artwork (ceramics, carpentry, architecture, etc.). Entries must include 3 photos of entry. See “Preparing Your Entries for Turn-In” below. Dance – Choreography must by original. Dancing the same steps from a music video of the song is not considered original choreography. Please make your own dance. Film – Although still images can be incorporated into a film piece, ALL still images must also be the work of the student. The student can not use PowerPoint or slideshow software to create their film. The top three students per age division per category will move on to the District (Jefferson County) Reflections Contest. Their work will be displayed at Red Rocks Community College for viewing on TBD. 1) Mount the picture on a stiff backing (like cardboard). 2) In addition to the piece, 3D art submissions must include three photos of the entry (taken from different angles) mounted on stiff backing. 2) Print and cut the Name Sheet form in half and place it in a plastic sheet protector. 4) Turn in the signed Entry Forms with your pieces but not attached to them. 1) One copy of piece inserted into plastic sheet protector. 2) Be sure the name, school, grade, and category show through on the back only. No names in front. 3) Turn in the signed Entry Form separately. 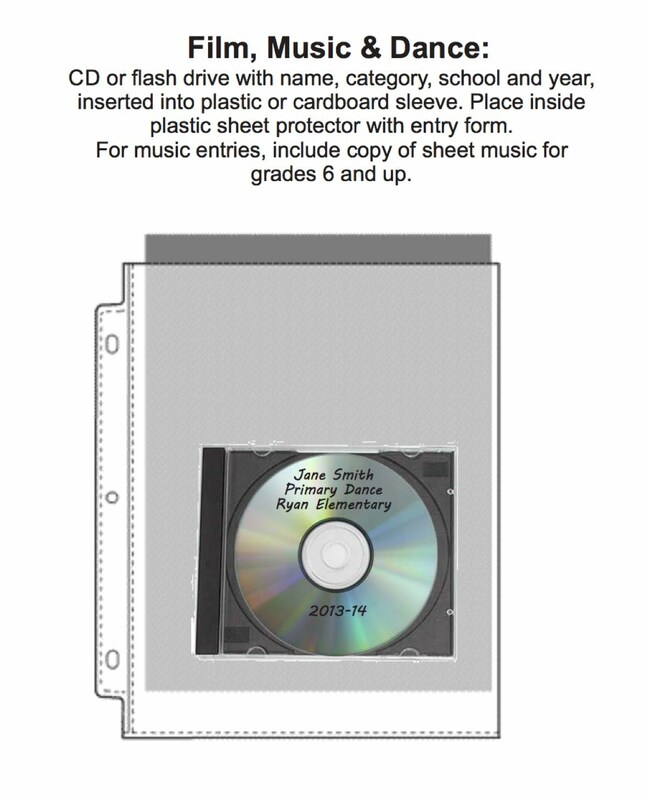 2) Write the student’s name, category, school and year and place into a plastic or cardboard sleeve. 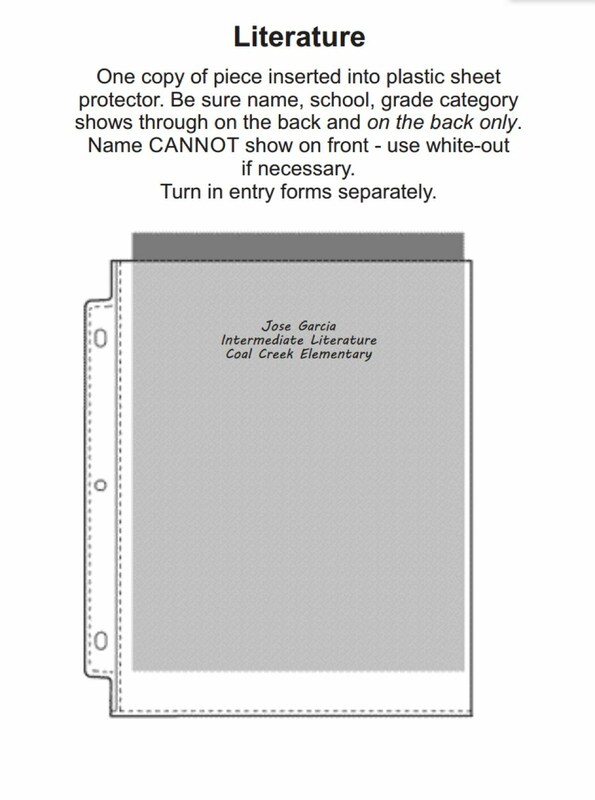 3) Place inside a plastic sheet protector with a completed Entry Form. Create and have fun! For questions or suggestions, contact Meredith Bockmon at mjbockmon@gmail.com.